So I'm having a blast making fake corporations and creating my own little world in Animal Drivers.It's a world where humans are pretty mean to animals, and I'm dropping little hints here and there that they're pretty scrupulous in how to treat them. Things are running smoothly with the 3d production for the game, though it's taking quite a lot more time than planned. 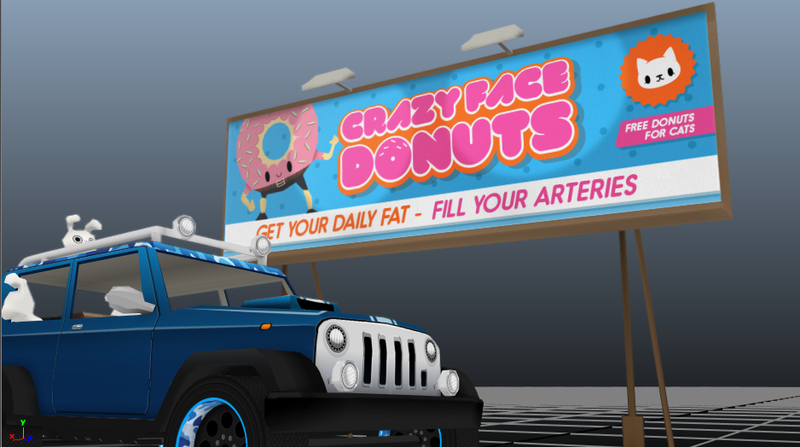 Look out for more blog updates with new assets for the game soon!